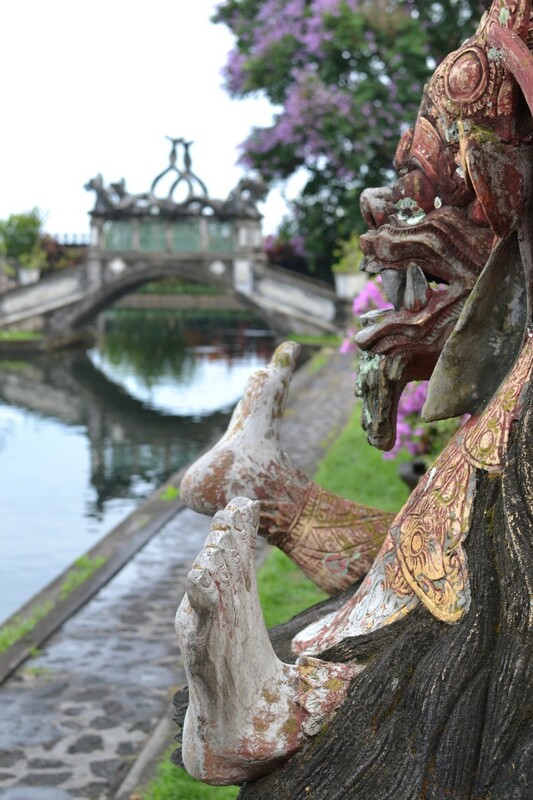 One week in Bali is, simply put, not long enough. In fact, a lifetime may not even be enough. This tiny little island paradise has so much to offer that you could spend as long as you wish and still want just a few more days to linger. Upon arrival, we rented a car and instead of heading south to Kuta, like so many tourists do, we turned North to go to Amed. Since we had planned on it taking over double what the google maps said it would, we decided to stop at just one temple along the drive. 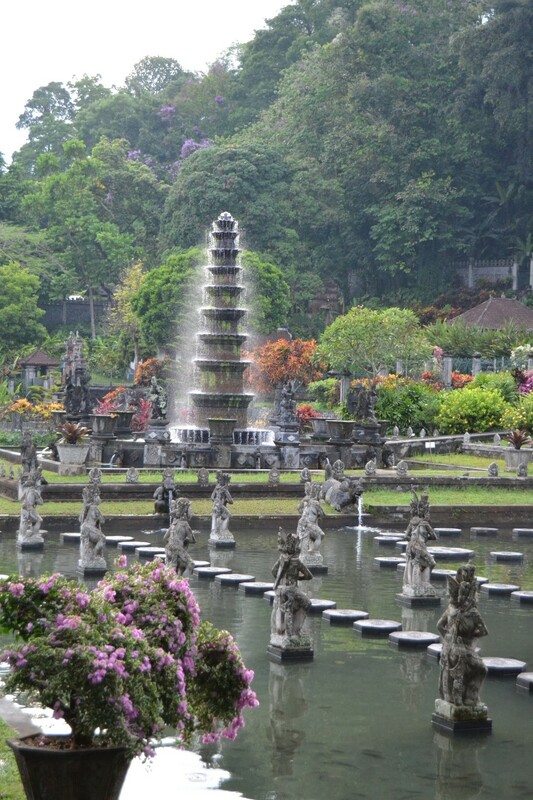 Tirta Ganga was probably the most stunning and beautiful temple we saw while in Bali. You can spend hours just taking in the beauty or even hop in the waters with the locals. We finished the day with finding our homestay hotel in Amed. One of the best dive locations in Bali is not far from Amed. 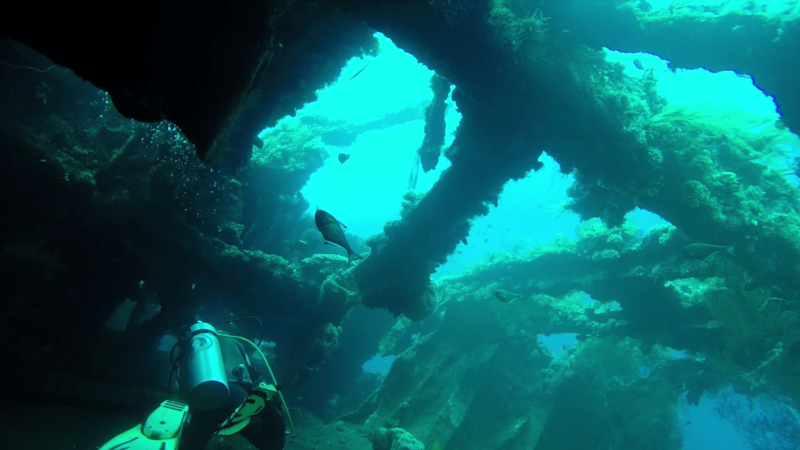 We found a local dive shop and headed to the U.S.S Liberty Shipwreck near the town of Tulamben. For less than $60, we had two amazing dives at the wreck plus a warm lunch at the dive shop. And since it’s considered one of the top dive sites in the world by some divers, you know it’s got to be on your itinerary! 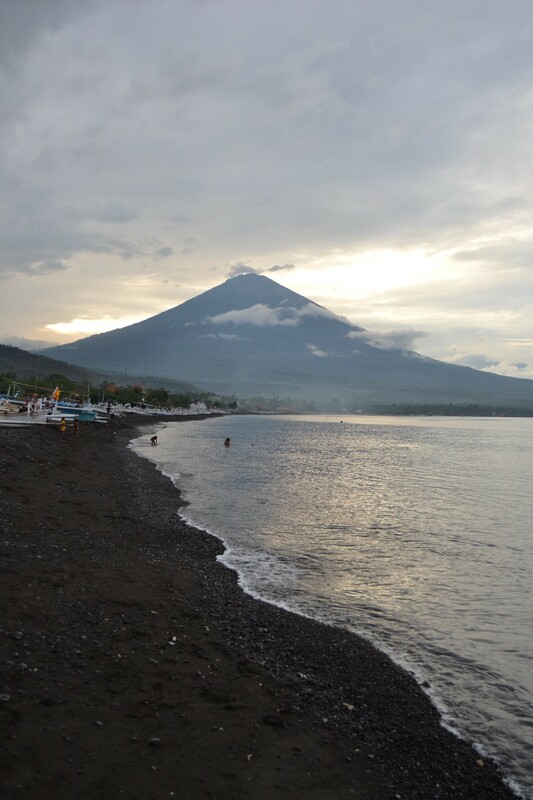 The rest of the afternoon and evening were spent relaxing and enjoying sundowners on the black, pebbly beach under the beautiful volcano looming over us. 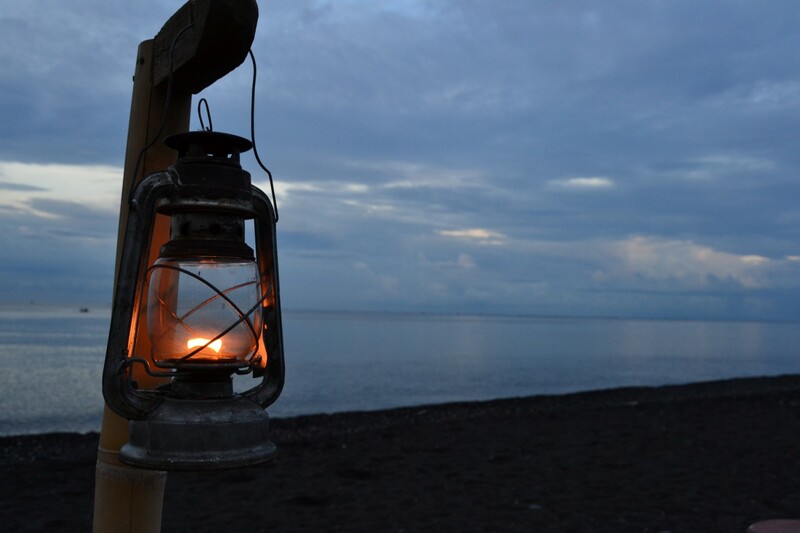 There are many beautiful places to stay at in Amed. For less than $50 you could be staying in a luxurious hotel right on the beach! 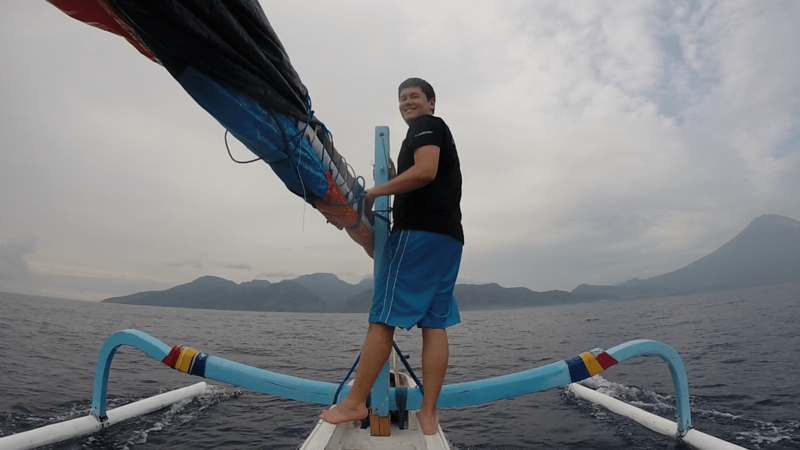 We chose to do a morning fishing trip with the owner (whose primary job was a local fisherman). 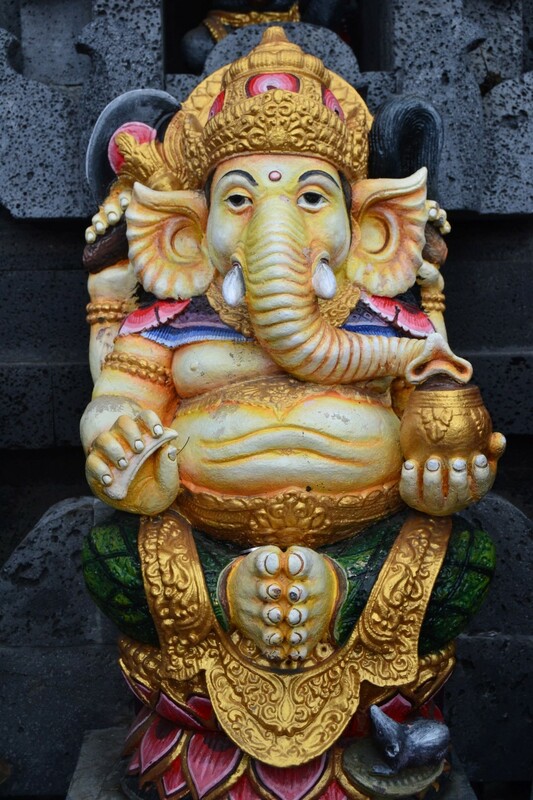 This was one of the most unique and memorable events in our entire Asian Two-Month trip! The rest of the day was spent snorkeling off the shores of the Jemeluk beach (literally just a few meters and you were in beautiful coral, underwater temples and colorfish!) which was a short walk from the homestay. We then took the car 20 minutes up to coast to Lipah beach where just 1.5 meters off the shore, you could snorkel or dive around the Japanese sunken fishing boat which is a haven for coral and marine life. Of course, finish the evening with cocktails by firelight at any beach side restaurant. Not sure what to pack for Bali? 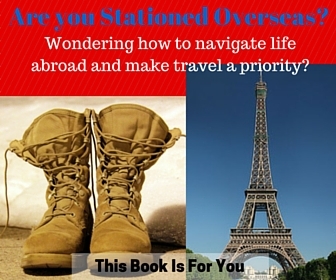 Here is a great place to start! 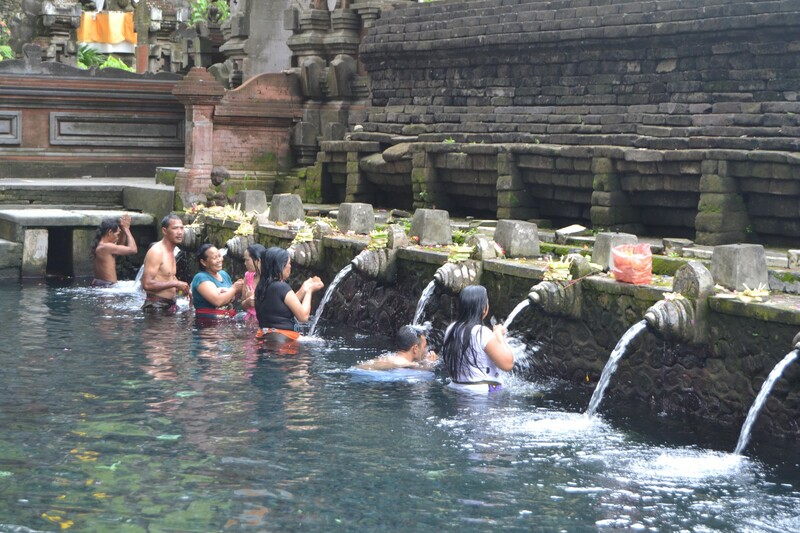 Along the way to Ubud, we stopped at several temples including the stunning Tirta Empul as well as Pura Ulun Danu Batur, which was several temples along the same road. 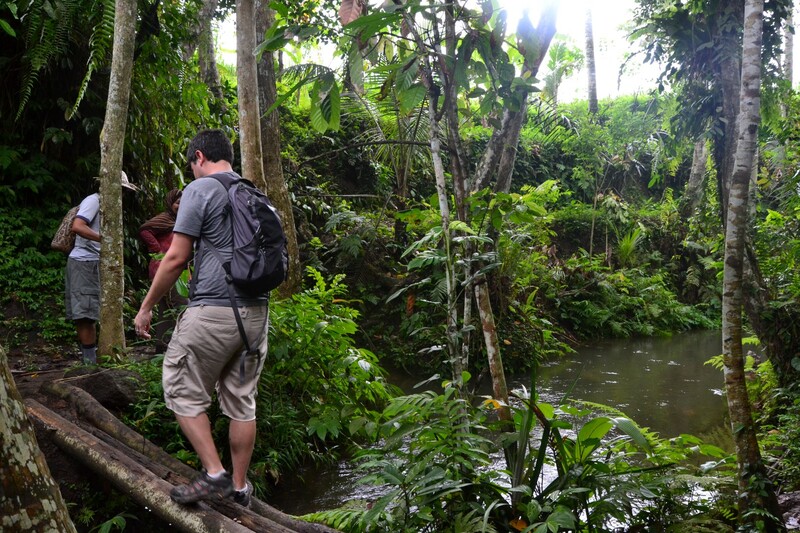 We headed out early on the many walks throughout rice paddy fields that you can find online and in the Lonely Planet guidebooks. This lasted us well into the afternoon. 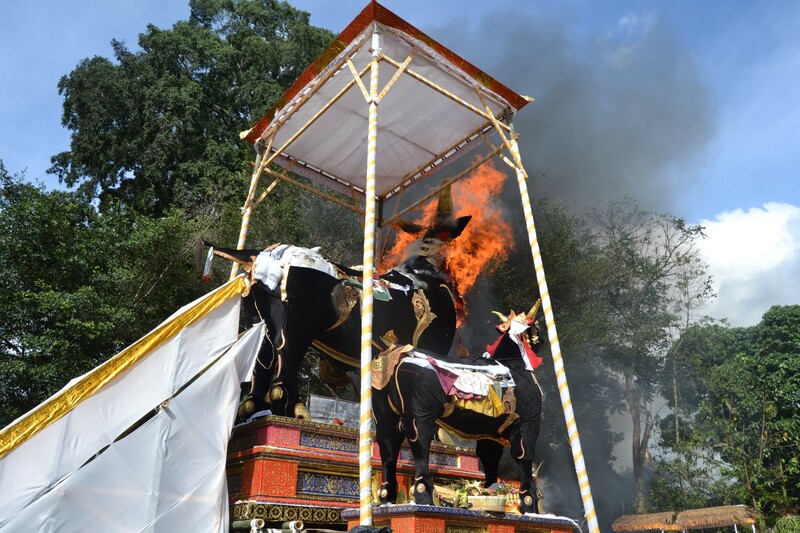 We were lucky enough that there was a HUGE cremation ceremony that kept us busy throughout the afternoon (after a short nap from the exhaustion of the walk through the heat). 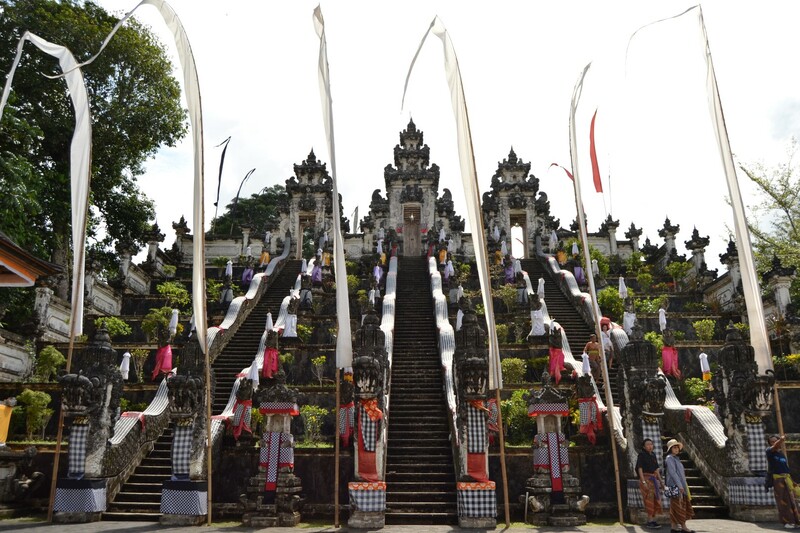 If there are no festivals or celebrations, it is a great time to wander the main streets of Ubud, go shopping do the monkey temple or just get a nice massage. 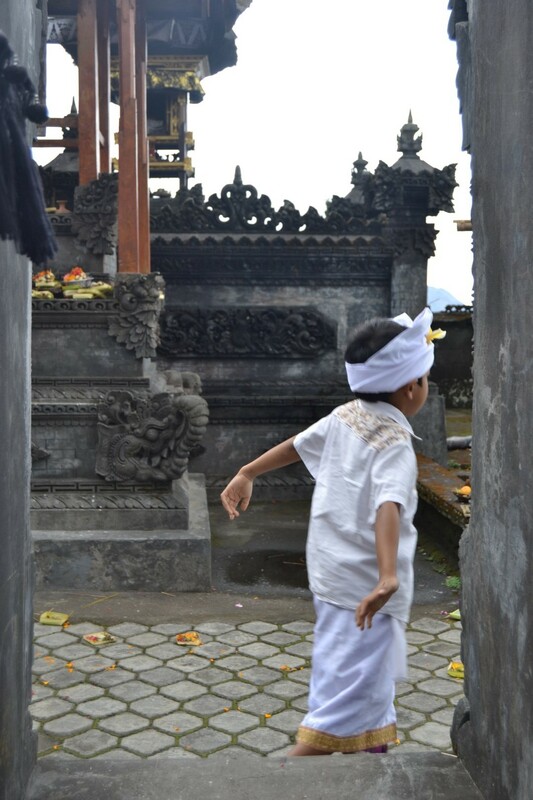 We took a guided walking tour through Bali Off Course. 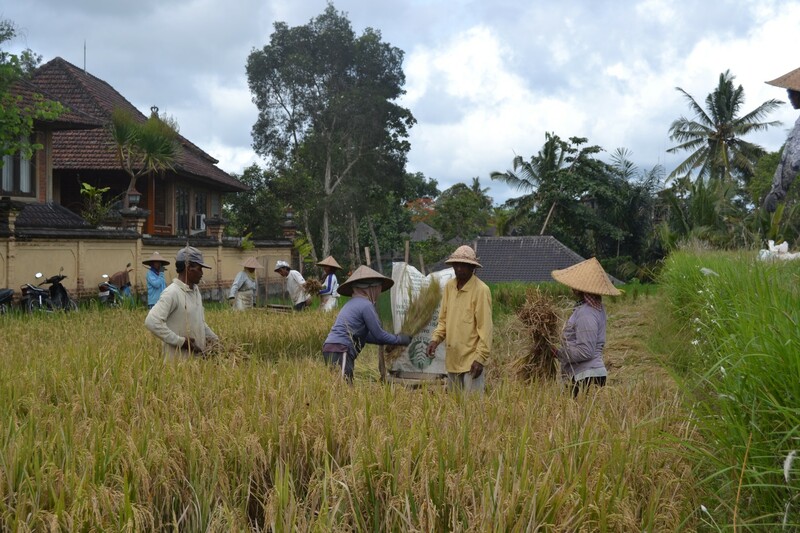 This walking tour took us through more rice fields, into a local’s home complex and more letting us really see Ubud and Balian culture. The afternoon was spent relaxing, getting massages, having dinner and taking in the culture. 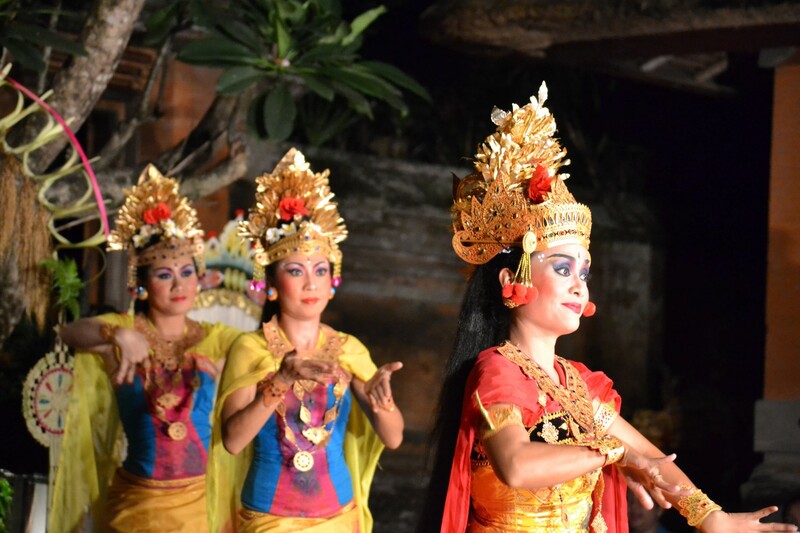 There are so many different dance and performance shows that you can see while in Ubud, all showcasing the local and traditional dances. Everyone has their own opinion on which ones are the best, so we just went with the closest to where we were at that evening! It wasn’t a let-down! The Tagalalang Rice Terraces are some of the most famous in all of Bali, so be prepared to share the scene with others. That won’t take away from the beauty of the fields, though. 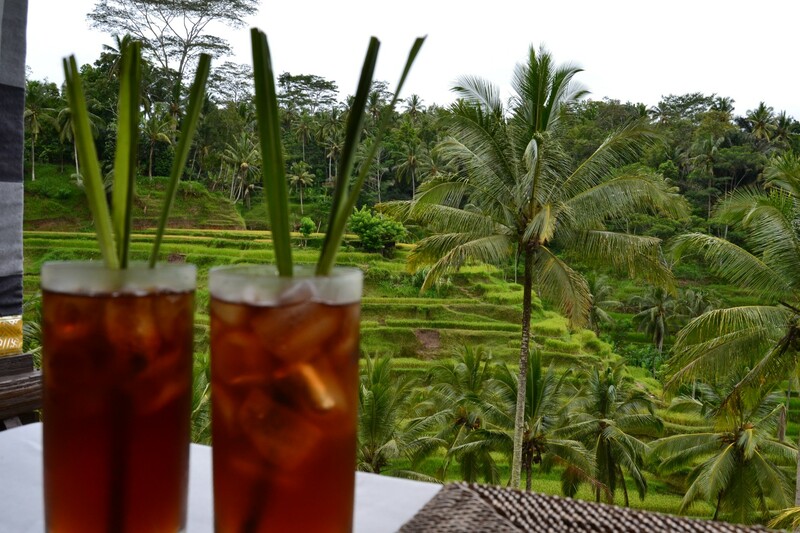 Grab a lemon tea and just soak in the last of the views of this beautiful country and island. We were able to squeeze in two more stunning temples. 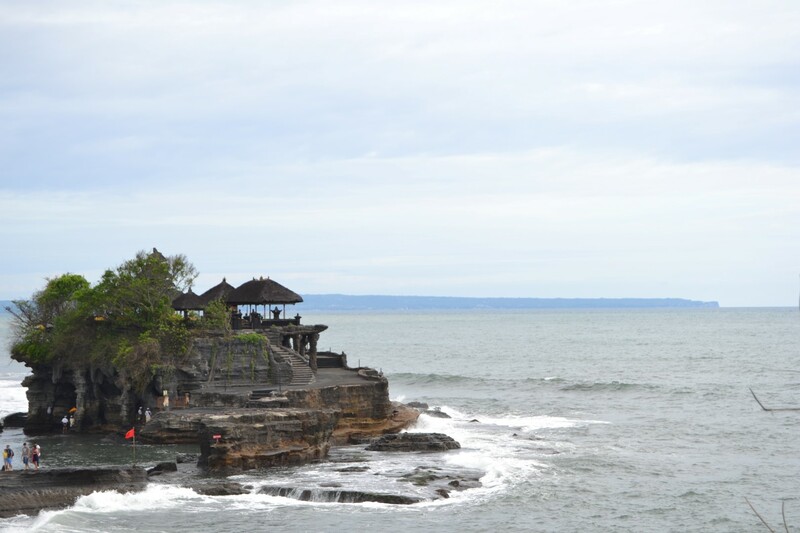 First was the peaceful Taman Ayn and not far from there was the absolutely stunning Tanah Lot, which is set a few meters off into the ocean and the perfect way to wrap up an amazing week in paradise. You should try to visit Lampung (another province of Indonesia) located in the southest part of Sumatra Island. 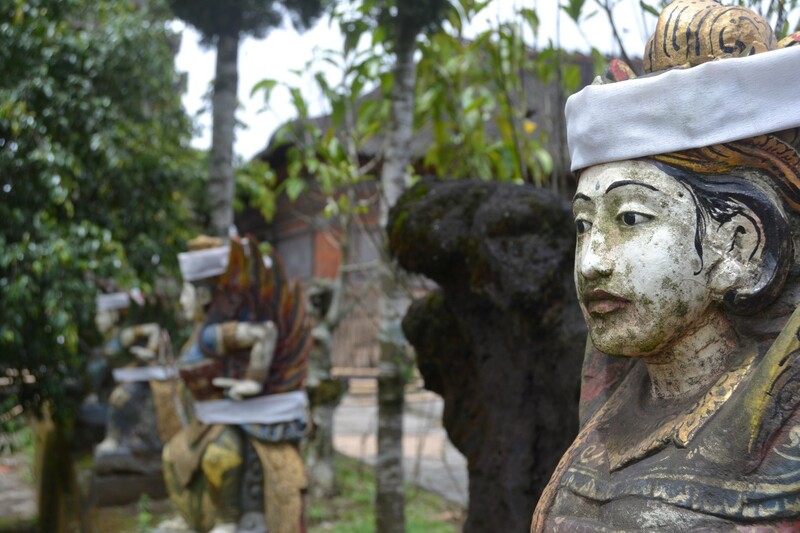 There are more extraordinary places besides of Bali! Oh believe me, it is HIIIIGH on our list!! !